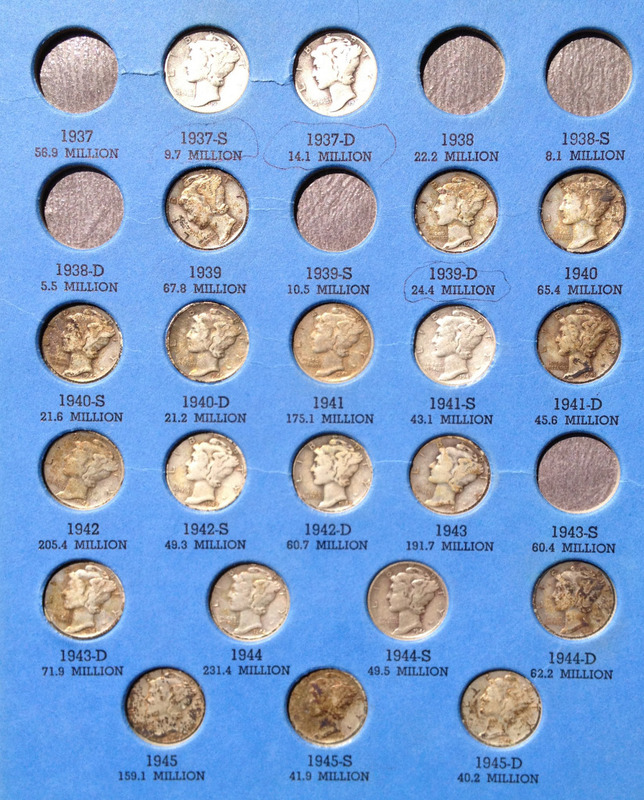 One of the most common questions collectors ask is, "How do I take care of my coin collection?" How to store and care for your valuable coins is a subject that should be of interest to every beginning coin collector. After all, you can't just toss your coins into an old bottle or cigar box and call it a collection. As a serious numismatist, you should handle each valuable coin in your possession carefully and preserve it in the condition in which you first received it. For example, when examining a coin you should hold it by its edges over a soft surface, In this way should you accidentally drop the coin, no harm will be done. A coin should never be touched or held by its faces, obverse or reverse, for the oil and acid on one's skin can leave fingerprints and possibly cause damage. When you choose a method to store your coins, you should find a form that not only protects your coins but also makes them easily accessible and visible to you. The most frequently used method is the familiar Whitman folder. This is the least expensive and easiest method of storing coins as a collection. These folders have die-cut holes in the cardboard, which are labelled with date, mint mark, mintage, and other information. Thus, when you've acquired a particular coin, you simply insert it into the proper hole with a little thumb pressure (use protective gloves when doing this). The latest and most protective of the Whitman coin holders offers both visibility and protection. The folders have thick cardboard that is just a little thicker than the depth of the coin which it is designed to hold. To hold the coin and protect it from rubbing in the album, clear plastic sides are provided (top and bottom). 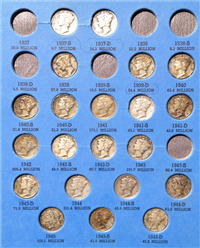 Another widely used means of storing individual coins, both for deals and collectors, is known as the 2x2. This is a hinged piece of cardboard, die-cut with a hole of coin size with a thin piece of plastic glued in. A coin is inserted between the layers of cardboard, which is then folded over and stapled or taped shut, thus effectively protecting the coin. Both front and back of the coin are easily viewed. There are also plastic Lucite hardshell holders, slabs, and a myriad array of other storage devices. A search of the internet will find many retailers of coin storage products. Good luck!